There’s a nip in the air that says fall is here. Gone are the hot, long summer days that where we want something light, like a cold Chardonnay. Fall seems to require something more earthy. Something with the flavors or pumpkin, apple and maple. 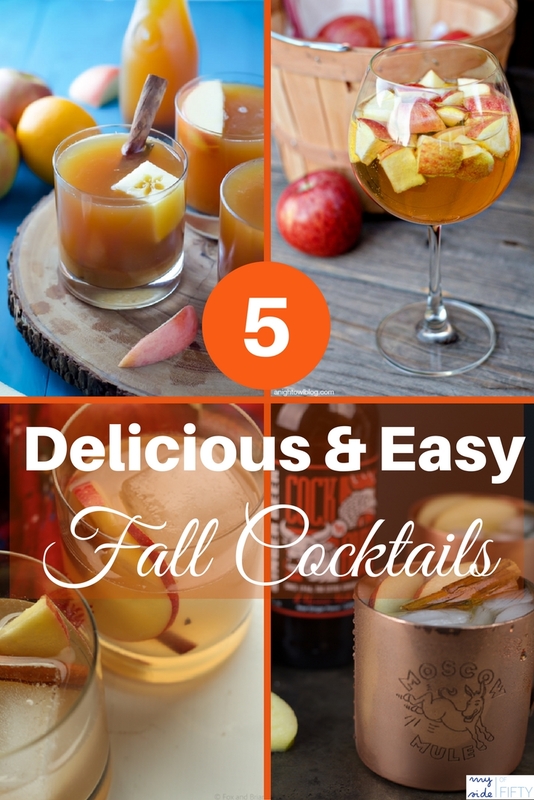 So today, I bring these flavors to you with these 5 Delicious and Easy Fall Cocktails. While I love a specialty cocktail that has a bunch of unique ingredients when I go out, I am NOT going to make that kind of cocktail at home. 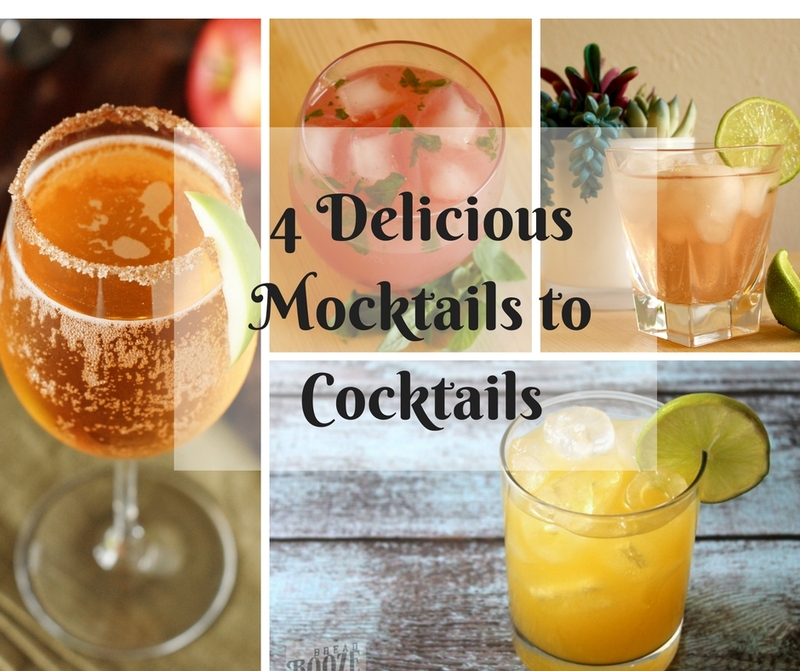 So when I say these are EASY as well as delicious, I mean that there are just a few, easy to find ingredients and not a bunch of steps because when I want a cocktail, I want it now! If it’s still warm where you are never fear! Here’s a cold, refreshing sangria with all the flavors of fall. Aren’t sangrias the best thing to make when you have a crowd? Just mix together some your favorite fruit and a bottle of wine and you’re good to go! Moscow Mules are all the rage these days and this one is made with Smirnoff Kissed Caramel Vodka. Have you noticed all the different flavored vodkas you can buy? 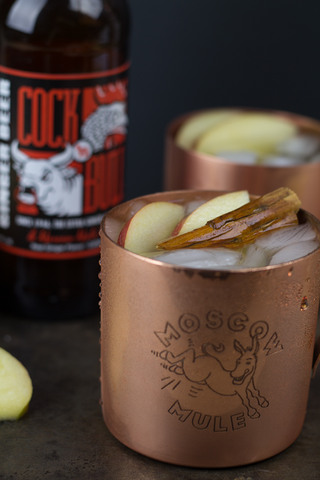 A real treat for all the Moscow Mule lovers out there. 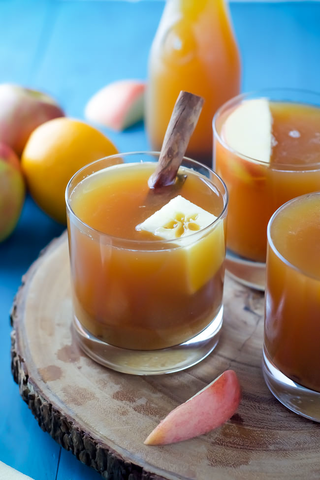 Do you love fresh apple cider in the fall? This along with pumpkin beer brings together the two iconic flavors of fall into one drink. Just like vodka, there are lots of different flavors of beer these days. I don’t know how I feel about pumpkin beer on its own, but mixed with the apple cider and a bit of orange juice for this shandy sounds great. This one is the exception to my EASY criteria because it does have this one obscure ingredient called Sortilege, which is a Canadian Whiskey & Maple Syrup Liqueur. But if you can’t find it or just don’t want to mess with adding a bottle of something that you may not use often to your liquor cabinet, there is an alternative. While I am not much of a whiskey drinker, I think the combination of whiskey & maple sounds fabulous! 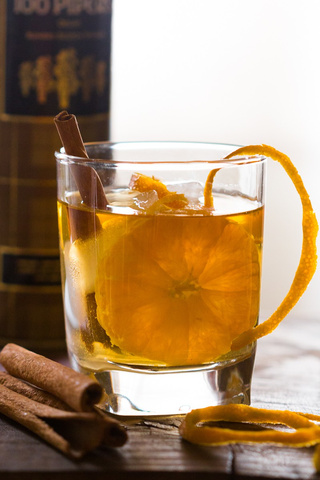 And for the Bourbon lovers, a simple cocktail with bourbon, orange juice, and cinnamon. Use one of your favorite bourbons in this cocktails because the orange and cinnamon don’t mask the bourbon flavor – they just bring it out in the most wonderful way. I envision drinking this in someone’s paneled study in front of the fire…except I don’t know anyone with a paneled study…. 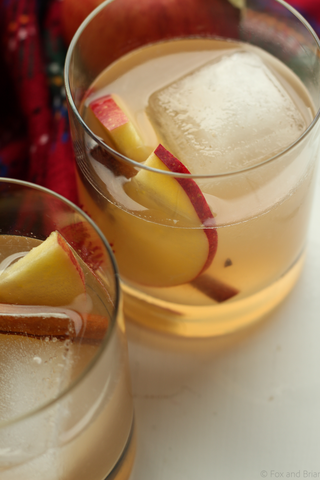 There you have it – a roundup of some wonderful fall cocktails to try. 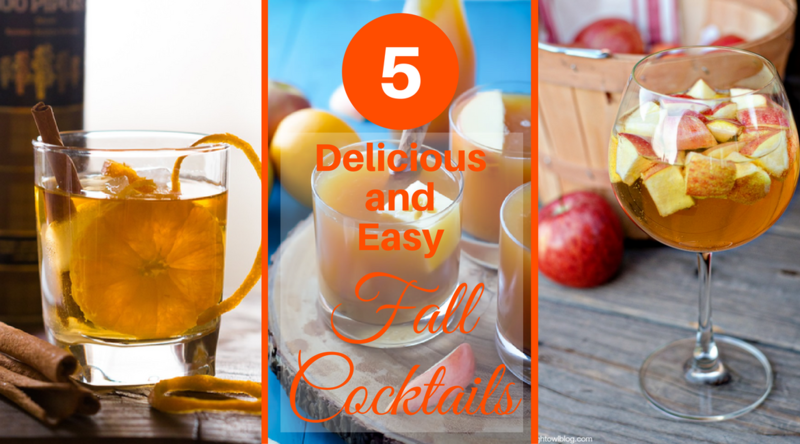 What’s your favorite fall drink? Like this post? Pin it on Pinterest or Share it on Facebook! Subscribe to My Side of 50 and get my free printable with 7 of my favorite holiday recipes. Not only that, but you'll get my weekly newsletter full of information that will educate, entertain and inspire you on your midlife journey! AND I'll also include subscriber only discounts to your favorite retailers! Success! Now check your email to confirm your subscription and get My Favorite Holiday Recipes! Hot Apple Cider is great in Autumn, but I still love my cold beer every season of the year! I need to try all of these, several times, to get the full flavor and experience. My family has two apple trees and I cannot wait for them to bear fruit so that I can use the freshest ingredients. 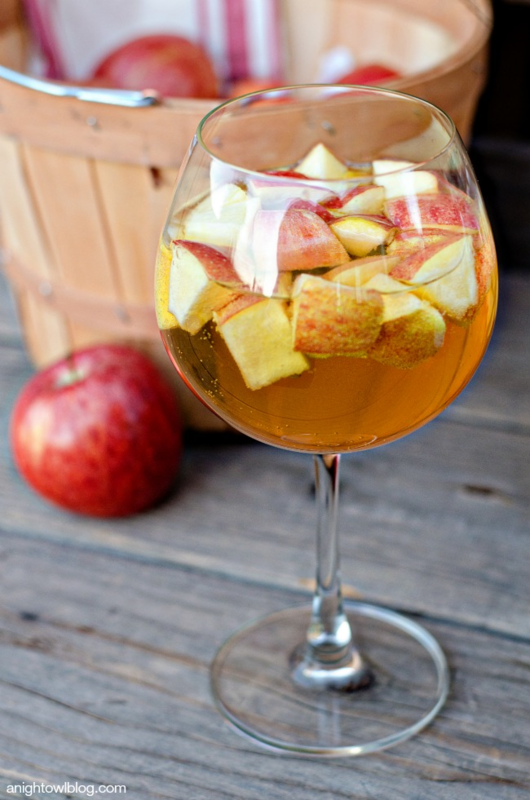 The caramel apple sangria sounds delicious going to try that one out for sure. Pinned as well.